"Police and firefighters are evacuating the main train station in Prague due to a bomb threat. The threat concerns the entire building and its surroundings." "Belgium Army surrounding Radisson Blu Hotel in Brussels, guests locked-in, Doors barricaded by Army trucks! CHAOS on surrounding streets, sirens everywhere. All streets in Brussels now CLOSED . ."
At least 16 people were shot in New Orleans, Louisiana when a gunman opened fire on a crowd of hundreds of people gathered in a playground for a video filming. Local media describe a chaotic scene, with the injured on the ground and ambulances rushing away. My God, they are so lucky that there is always an exercise of a video filming occurring to catch these horrific events. Turkey has shot down a Russian military jet which it says violated its airspace near the Syrian border. Video posted by the Haberturk TV station appeared to show the jet coming down in flames, while separate footage showed two pilots parachuting to safety within hostile Syrian territory. Their fate remains unknown. In a statement, the Russian defence ministry confirmed the jet was one of its SU-24 bombers." Well now, here we go! NATO country F-16 shot it down. Killing those pilots is against the Geneva Accords. Tx Reddwolf Wonder if the Fed having an emergency and secretive meeting just yesterday is a factor? or the following article, war is about the only option left to TPTB, and we will be the ones who pay for it. T kept saying Turkey would start it. violated airspace for 17 seconds!!! 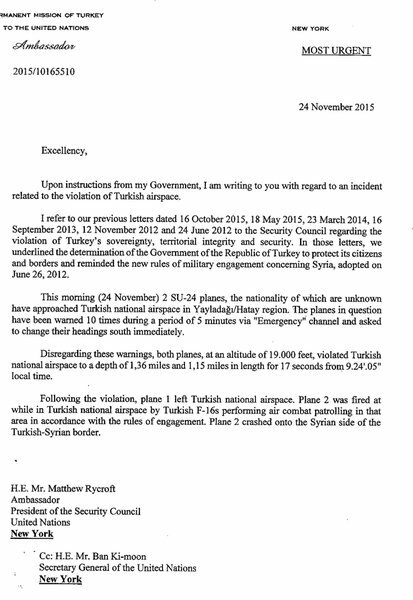 Turkey's statement: Claims Russia violated airspace for just "17 seconds" with very slow 243 miles/hour jet. One of the two Russian pilots, who ejected from the bomber shot down by Turkey on Tuesday, was picked up by the Syrian Army, the Russian ambassador to France has said. He added the pilot was wounded. "One on board was wounded when he parachuted down and killed in a savage way on the ground by jihadists in the area. 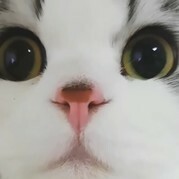 The other managed to escape. According to the latest information he has been picked up by the Syrian Army and should be going back to the Russian Air Force base," Ambassador Aleksandr Orlov told Europe 1 radio. Maybe Turkey is now realising it is pretty stupid to wake a sleeping bear. As it now appears the plane was shot down over Syrian airspace, which is a no-no even if had previously strayed over Turkey, for them to say, "Oh, it's not not so bad, because we didn't know it was Russian" is basically turning their foot sideways after sticking it their mouth. Russian and Syrian military have killed terrorists in the search area of the downed Russian Su-24 jet, the Russian Defense Ministry said on Thursday. Konashenkov also added that the Turkish General Staff had denied Russia access to any materials related to the downing of the Russian Su-24 jet by a Turkish F-16 on Tuesday, adding that they did not release any recording of the radio communications between the pilots. The Defense Ministry has said that all channels of military cooperation with Turkey were suspended on Thursday, including a hotline set up to share information about Russian air strikes in Syria. Moscow has also recalled its military representative from Turkey. “Today, in accordance with the decision taken earlier, all channels of cooperation between the Russian Defense Ministry and the armed forces of Turkey were suspended,” said Konashenkov. The Russian Air Force base in Latakia has been reinforced with an S-400 SAM system, which was deployed on Thursday. “Now we are going to ensure the safety of our planes fighting against ISIS militants and other terror groups by taking more reliable measures,” Konashenkov said. "An active shooter situation is in progress at a large shopping center that contains the Colorado Springs Planned Parenthood clinic. At least three policemen and an unknown number of civilians have been injured after a gunman opened fire. The gunman shot multiple people, including a police officer, then barricaded himself inside Planned Parenthood, according to Mike Violette, the executive director for the Colorado Fraternal Order of Police." "Russia has received additional intelligence confirming that oil from deposits controlled by Islamic State is moved through Turkey on an industrial scale, said Vladimir Putin. President Recep Erdogan said he will resign if this is confirmed. He called on Russia to comment on the US’ recent black-listing of Kirsan Ilyumzhinov, the World Chess Federation President, accusing him of “materially assisting and acting for or on behalf of the Government of Syria.” Erdogan alleged Ilyumzhinov had been dealing with Islamic State oil." Active shooter drills every month at Inland Regional Center where the mass shooting took place. At first, Dorothy Vong assumed it was a drill -- just like all the others at her work. The Turkish army has built foritications at Tal Ziyab to defend the supply route which ISIS uses for smuggling the Syrian oil from the ISIS-controlled city of Raqqa to Turkey. The Turkish army invaded the Syrian territory and took control of the hill Tal Ziyab. Troops crossed the border accompanied by bulldozers. After occupying the high ground (50 meters), the Turkish force built fortifications. Also, 3 battle tanks, 2 armored infantry fighting vehicles and several SUVs were deployed there. Considering the location of Tal Ziyab, Turkey wants to cover the smuggling route of the Syrian oil which is taken out of the ISIS-controlled Raqqa. one of the locals. – In the past, support for the terrorists conducted in secret, but now it is official action of the Turkish army, which requires a formal protest to the United Nations “. It seems that Ankara has decided to act much more aggresively after the Ministry of Defense of Russia were released pictures and videos of oil delivery convoys at the border between Syria and Turkey. We remember, on Nov. 24, the Turkish Air Force shot down Russian Su-24 in Syria. Discussing the incident Russian President Vladimir Putin has said that the Su-24 was shot down by Turkey to protect oil deliveries of the ISIS terrorist group. 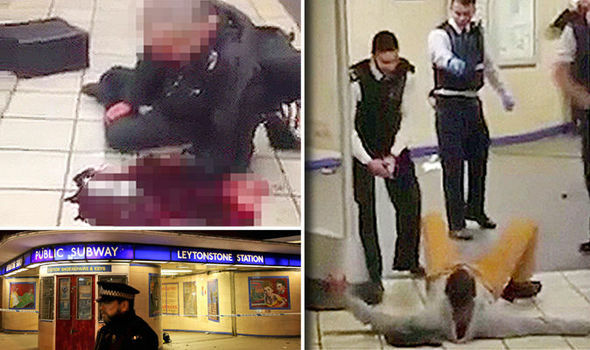 A 'MACHETE-WIELDING' man has slashed a man's throat at a station in London as he shouted "this is for Syria", witnesses claim. "A man was stabbed in the ticket hall at Leytonstone station this evening by another man who witnesses say shouted "This is for Syria" as he slashed his throat. The Met Police said its counter-terrorism command unit is now investigating the incident"
hmmm, Interesting, Turkey will be cut off soon if this continues. Russia already works w/Iran/Syria Iraq is now invaded by Turks, and about the only country left is Greece with unattended border w/Turkey, and they are constantly invading Greece's water and air space. "Army Sgt. Bowe Bergdahl's high-profile desertion case was referred for trial by court-martial on Monday, in a blow to his defense team which had urged a lower-level referral. Bergdahl was released from captivity last year in exchange for five Taliban detainees from Guantanamo Bay. He was later charged with desertion and misbehavior before the enemy, accused of abandoning his post before he was captured. U.S. Army Forces Command announced Monday that both charges are being referred to a general court-martial. " "A series of explosions have rocked the Indonesian capital of Jakarta as police say they suspect a suicide bomber was responsible for at least one of the blasts. Police say suspects were seen throwing grenades from their motorbikes before the bomb blasts, the ABC reported. At least six people - three police officers and three civilians - are dead after three blasts went off at a Starbucks cafe, the Sarinah shopping mall, and the United National building, and another three in Cikni, Silpi and Kuningan neighborhoods, near the Turkish and Pakistani embassies. Outside the Starbucks cafe, a bank security guard said he saw at least five attackers, including three suicide bombers, explode themselves. Tri Seranto told The Associated Press he was out on the street when he saw the three men entering Starbucks and saw them blowing themselves up one-by-one. He said the other two attackers, carrying handguns, entered a police post from where he heard gunfire. BREAKING NEWS: U.S. Senate Just Defied Obama In A HUGE WAY – Unanimous Decision! "The Republican Senators in charge of the Judiciary Committee just made a bold announcement after a closed door meeting today: There will be NO confirmation hearings for President Barack Obama’s Supreme Court nomination under ANY CIRCUMSTANCE! “We believe the American people need to decide who is going to make this appointment rather than a lame duck president,” said Majority Whip John Cornyn. The Republican members of the Judiciary Committee were unanimous in agreeing not to move forward with any Obama nominee for the Supreme Court, said Cornyn, who was in the meeting. Sen. Bob Corker (R-TN), who was not in the meeting, later said that GOP senators were told at their weekly lunch that the Judiciary Committee Republicans were in unanimous agreement on the strategy. Sen. Lindsey Graham said that “there’s no use starting a process that’s not going to go anywhere and we are going to let the next president decide,” when asked why there would be no hearings." Finally, finally, they do as they should. Will wonders never cease??? What a bunch of crooks - they constantly spout off about the constitution and they constantly violate its principle. nothing surprises me from this congress. "While Americans and our media obsess about the latest third-grade smackdown of one presidential candidate by another, one of the greatest threats of our time continues its rise. Today, the U.K.’s terror chief issued a stark reminder of just how massive the threat posed by the Islamic State is to our very civilization. British police are preparing for “enormous and spectacular” potential attacks on the UK as ISIS moves into its “next natural phase,” Britain’s senior counterterrorism officer said Monday. 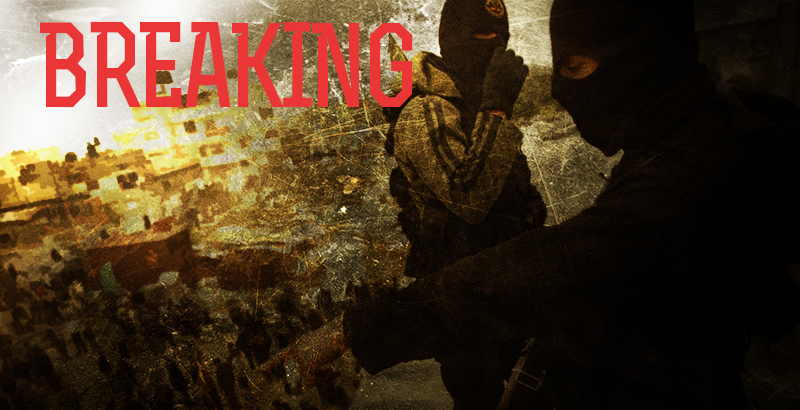 ISIS claimed responsibility for the bombing of the jet over Sinai in October. All 224 people on board — most of them Russian — were killed." "DENVER - A source confirms to 9NEWS that a positive hit by a bomb-sniffing dog prompted authorities to evacuate a section of the main terminal of Denver International Airport to investigate a suspicious package Tuesday afternoon. The evacuation area includes the west side of the main terminal on levels five and six from doors 600 to 610, according to a tweet from DIA. This has hindered the ability of some passengers to check into their flights, as well as pick up their bags from baggage claim. Flights are continuing, DIA tweeted, but delays are possible. Travelers should check their flight status online. The ticket counters affected by the evacuations include: American, Aero Mexico, Air Canada, Lufthansa and British Airways, DIA tweeted. "